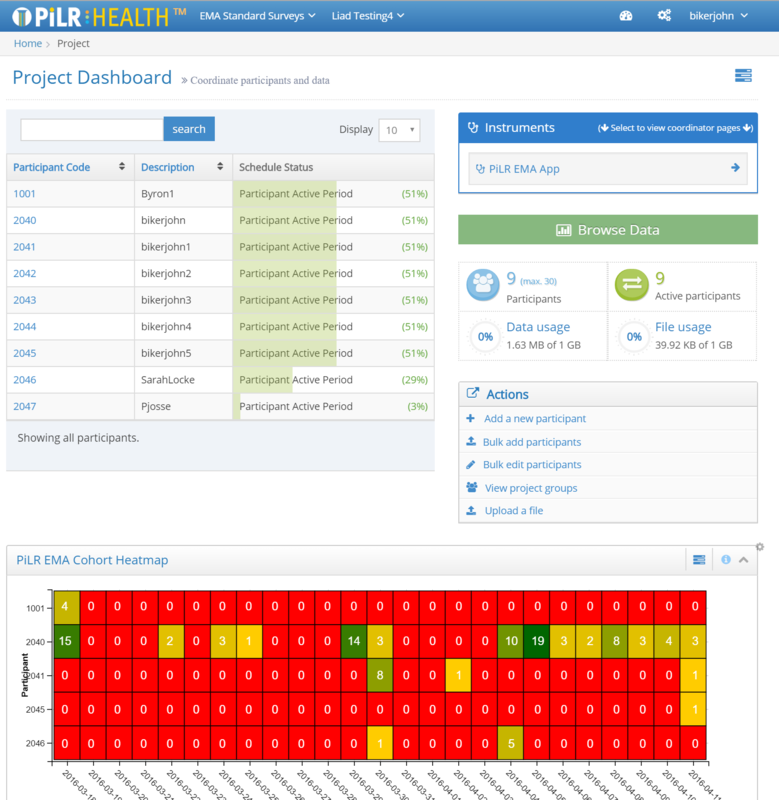 PiLR Health is a cloud based system designed to make it possible for a researcher to manage projects that collect event based longitudinal information from study participants. It facilitates the analysis process by providing a managed computing environment for combing collected information with reference information, and applying analytical methods to the combined dataset. In addition, it provides content authoring tools for PiLR EMA. PiLR EMA is a mobile application that a researcher can give to a study participant. The app can run in the background to collect sensor data, and it can prompt participants to respond to survey questions based on time and date, location, or activity level. 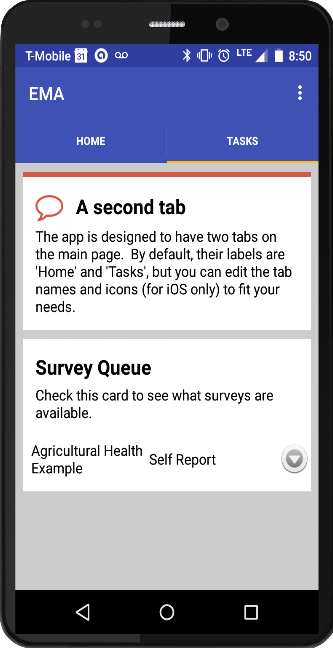 LiaD is a mobile application that a researcher can give to a study participant. It combines the features of PiLR EMA with the ability to collect activity information, either from a set of standard tasks, or from a custom set uploaded by researchers.